There is a lot of consideration as well as preparation that goes into planning an Orange County wedding photography session. A professional photographer will not only have to spend considerable time interviewing the bride and groom to be but will need to spend an equal amount of time taking the information they received during that interview and using it to formulate a plan of action for the wedding day. The most skilled and efficient Orange County wedding photographers will spend the weeks and months prior to and event determining exactly whom to photograph, when to do it, and determine the best locations for shots. They will then implement these plans which deal with both the planned and unplanned occurrences at a wedding. Use their intuition and imagination to help capture the unexpected and candid at a wedding. Have several different plans in place for your wedding. This will ensure they miss nothing and are prepared for the unexpected. Pre-visualize on the fly during a wedding enabling him/her to make adjustments quickly as needed. They will be thinking of where and how to take the next picture while in the process of taking one. Take a less structured and more open approach to wedding photography by simply following guest, the wedding party, and family around during the event to capture moments not possible through conventional photography. Regardless of what type of wedding photography you'd like to employ in your wedding you can be certain that any photographer that employs these styles and is thorough in the pre-visualizing of your event will produce only the highest quality wedding photographs, photographs that will be cherished for a lifetime. Should you have any questions about Orange County wedding photography or would like to book your wedding please contact Carol Bridges! 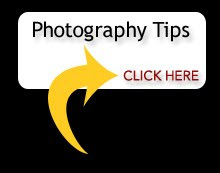 When it comes to Orange County pregnancy photography there a lot of do's and don'ts. Many people either want to oversimplify or overcomplicate the pregnancy photography process which generally yields pictures of a lower quality or pictures that focus on other things other than the mother to be. If you keep the following things in mind when you go for an Orange County pregnancy photography session, you'll find that the results produced phenomenal pictures. Consider having pictures taken of you somewhere in the outdoors. There's something special that translates well into photographs about the beauty of a woman who is ready to bring new life into the world standing in the great outdoors. With the right backdrop like a sunset or sunrise you'll have pictures you be proud of for a lifetime. Many pregnant women opt to have their Orange County pregnancy photographs taken in a professional studio. While a studio offers a number of advantages pregnant women should consider having photographs taken in their own home by a professional Orange County pregnancy photographer. People are most comfortable in their home and people who are comfortable make for some of the best pictures. Being in familiar surroundings as well as cherished ones will help you and your children look back on these photographs with many fond memories. Keeping things simple is a good idea when it comes Orange County pregnancy photography. Regardless of where you shoot be it at a professional studio, home, outdoors, or even the local grocery store, you don't want to much going on in the backgrounds of images because the focus should remain on the miracle of a new life itself. Don't oversimplify but keep things simple enough to where there isn't a lot of set up or elaborate schemes. Although many women opt to have Orange County pregnancy photographs taken by themselves they should seriously consider including the father of the child in these photographs. Including him in at least some of these not only adds something special to photograph for the child later but it showcases the tender relationship that exists between mother and father as well as the love between them that produced the child. One other thing pregnant women should consider when they're preparing to have Orange County pregnancy photographs taken is to include not only the father of the child but siblings as well. This is a great way to showcase the type and the amount of love that this new baby will be making his/her way into after they are born. Pregnant?? Ready to Photography Your Baby Bump? Click Here for a Free Quote!